Hello Hello! 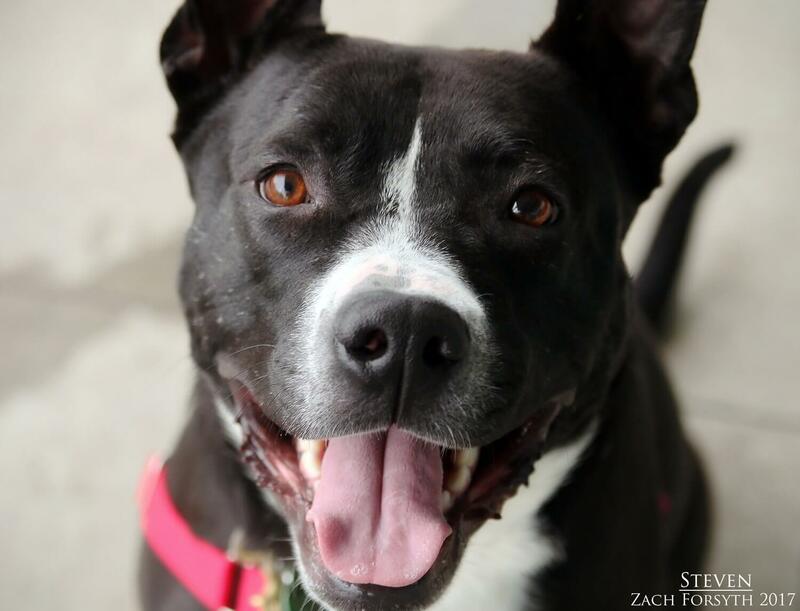 My name is Steven and I am a gorgeous 4 year old Pitbull mix weighing in at 63lbs. With my good looks and charm, I know how to work the room and everyone instantly falls in love with me. 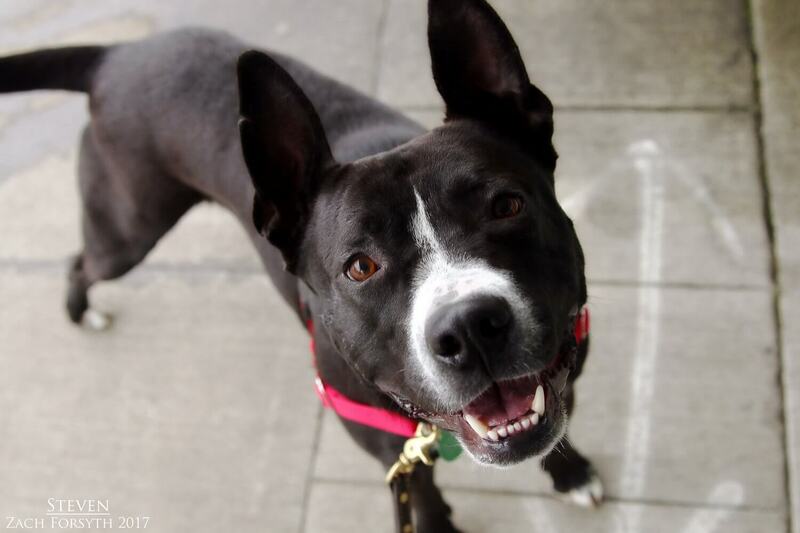 I am a socialite and enjoy meeting both new human friends over 10 and doggy friends alike! No kitties in my home please. I am a very active guy who loves to go on daily walks and better yet-play fetch in the yard!! Oh and I would just love to go on hiking adventures and explore all of Oregon. I would be the best adventure buddy!! Though I can be a bit bouncy, I am a very smart pup with a good off switch who responds really well to clicker training. I have even already learned “sit”! Due to certain rental breed restrictions, I do need to be in a home owned by my adopters. I am the true definition of a good boy and I am just looking for someone to share all my love and energy with. Plus, look at those ears! How can you resist?! Fill out an application today, so we can meet. I come to you neutered, vaccinated, and micro-chipped with an adoption fee of $300.